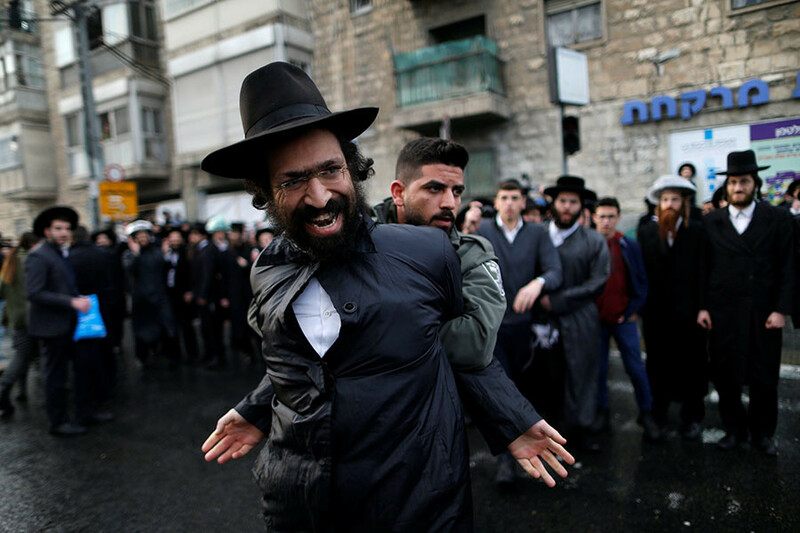 Demonstrations of hundreds of ultra-Orthodox Jews against compulsory military service have resulted in clashes with police in Israel. More than 30 people have been detained in Jerusalem and the surrounding area. Hundreds have been protesting across Israel, according to a statement from the security forces. Thirty-one suspects involved in disturbances in Jerusalem and the city of Beit Shemesh, which is located some 30 kilometers (19 miles) west of Jerusalem have been arrested, AFP reported on Friday, citing police. The protesters formed a human chain, chanting “Nazis” at the policemen, while security forces used water cannons to douse the demonstrators. The protesters also temporarily halted traffic on three highways during rush hour, Israel’s Channel 2 reported. The protest was mainly attended by followers of Rabbi Shmuel Auerbach who are members of the Lithuanian ultra-Orthodox community, which has been leading a campaign against military recruitment for the past four years, i24News website reported. 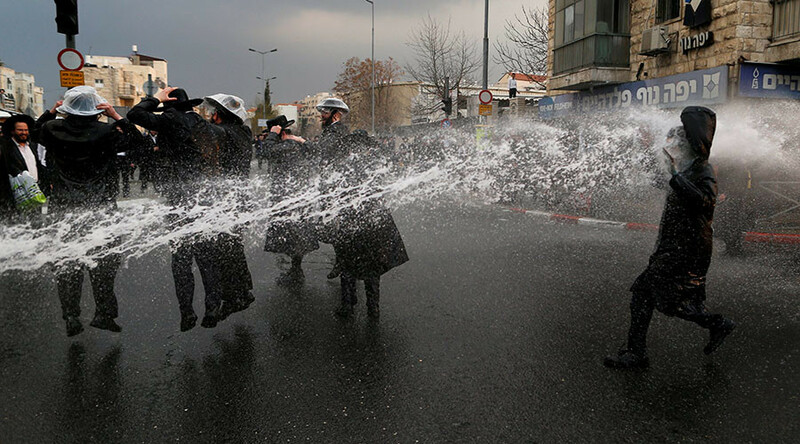 On Thursday, hundreds of ultra-Orthodox Jewish protesters battled police in Bnei Brak near Tel Aviv, Ruptly reported. Footage from the city showed protesters clashing with police, who in turn, deployed water cannons. Nine arrests were reported, with police saying they would not tolerate "attempts to block routes and disrupt routine," according to Ruptly. The protests were reportedly caused by the detention of an ultra-Orthodox youth who didn’t report to the army recruitment office, reportedly on advice from Auerbach, according to Haaretz. For the majority of Israelis, two years and eight months of military service is compulsory for men, and two years is required of women. Ultra-Orthodox Jews, who make up about 10 percent of the Israeli population, are exempt from serving in the military if they study at religious schools called yeshivas. Israeli Arabs do not need to serve either. Military service is controversial for ultra-Orthodox Jews because, regardless of whether they are studying at yeshivas, they must still go to the recruitment office and register, but their rabbis sometimes tell them not to, creating tensions with the military that sometimes erupt in protests.